From October 29th to 31st, the second edition of the Euro-MENA Dialogues on Public Management will be held at the headquarters of the Euro-Arab Foundation and at the Faculty of Political Sciences of the University of Granada. The deadline for sending communications is open until July 4th. The Euro-MENA Dialogues on Public Management in Europe, the Middle East and North Africa are organized by the Aix-Marseille University, the Institute of Public Management and Territorial Governance (France), and the Institute of Public Administration (Bahrain) and have the collaboration of the Euro-Arab Foundation and the University of Granada. 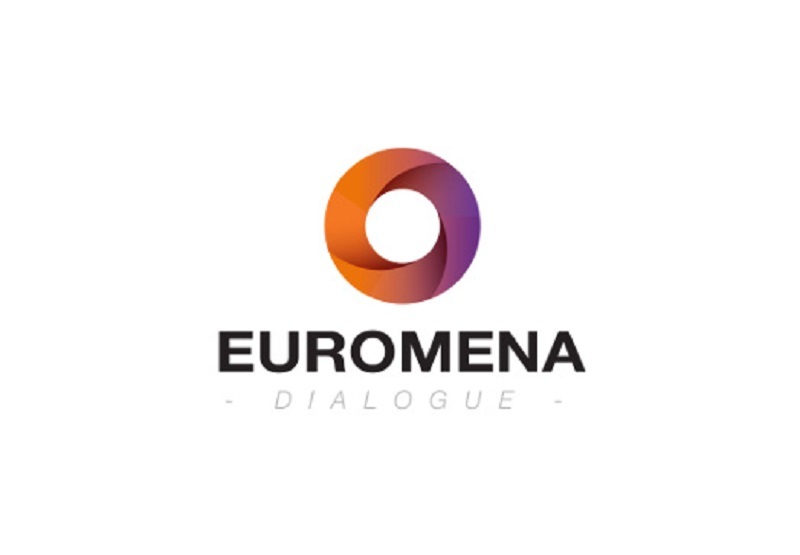 The second edition of the Euro-MENA Dialogues will take place in Granada from October 29th to 31st. The Euro-Arab Foundation and the Faculty of Political Sciences of the University of Granada will host this meeting, which is held as a continuation of the Euro-Mediterranean Dialogues on Public Management that take place biennially since 2014. Program available to be downloaded on this page. The Dialogues are aimed for public officials, professionals, experts in public management and researchers from the fields of social sciences and humanities. The current edition of the Euro-MENA Dialogues will focus on the challenges of cities in this region and their impact on urban management. Participants will analyze paradigms and key issues of city management, related to the future of cities as agents of development. They will also analyze the impact of the current Public Administration on urban management. The Euro-MENA region is not immune to these trends, as it is one of the most urbanized areas in the world, with cities and populations concentrated in coastal areas. It is expected that the urban population of the southern and eastern Mediterranean countries, now estimated at 165 million inhabitants, will increase by 80 million by 2025. The deadline for submission of communications for the Euro-MENA Dialogues is July 4th. 2018 Euro-MENA 2 Dialogue Theme: "New trends in city management". Euro-MENA Dialogue Permanent Theme: "Governance and Public Administration Paradigms, Conceptions, and Approaches in Euro-MENA Zone". All contributions will be evaluated by a scientific committee composed of experts representing the various disciplinary fields of public management in the Euro-MENA region. Communications may be submitted for publication in English, French, Arabic or Spanish, accompanied by a summary in English. English will be the only working language used in the conference, in all communications and debates. All PowerPoint presentations must be in English. The decision of the scientific committee will be notified to the authors as of July 15th. The delivery date of the final version of the communications that have been accepted is October 8th. The Euro-MENA Dialogues Dialogues will also host a Doctoral Seminar on Public Administration for postgraduate students and young researchers who are investigating this topic on both shores of the Mediterranean and the Middle East. 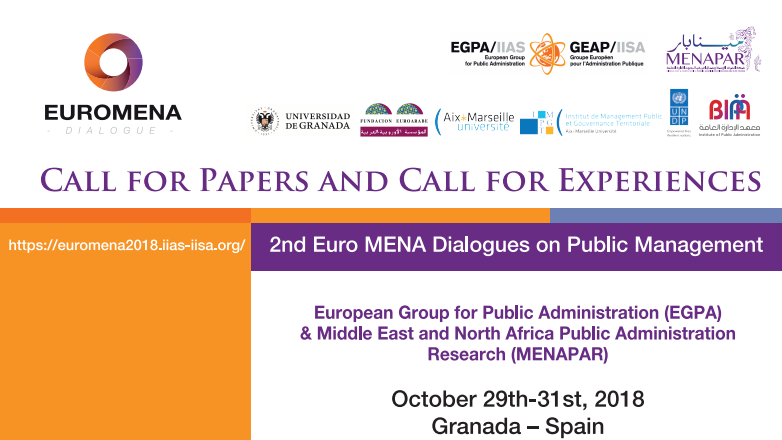 Additionally, the Euro-MENA Dialogues will include a Best Practices Workshop, a workshop that aims to show good practices in the Public Administrations of Europe and the Arab world, as well as the results of the collaboration projects that have already begun through MENAPAR (Middle East & North Africa Public Administration Research).